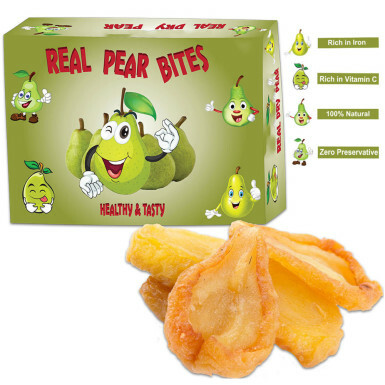 Winni offers a pack of Pear Delight in a dry form that is easy to preserve and healthy to eat. While traveling to other places, fresh fruit is not always available for you. This pack of pear delight will be the best alternative to get daily nutrients of fruit. The pack is filled with the goodness of real pear. It’s a complete dry snack that will help you to achieve your nutrition goal. Order now to share this yummy and healthy Pear Delight with your loved ones.